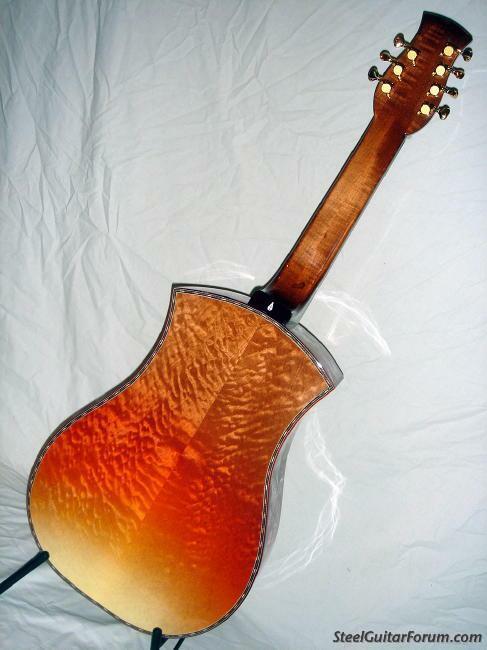 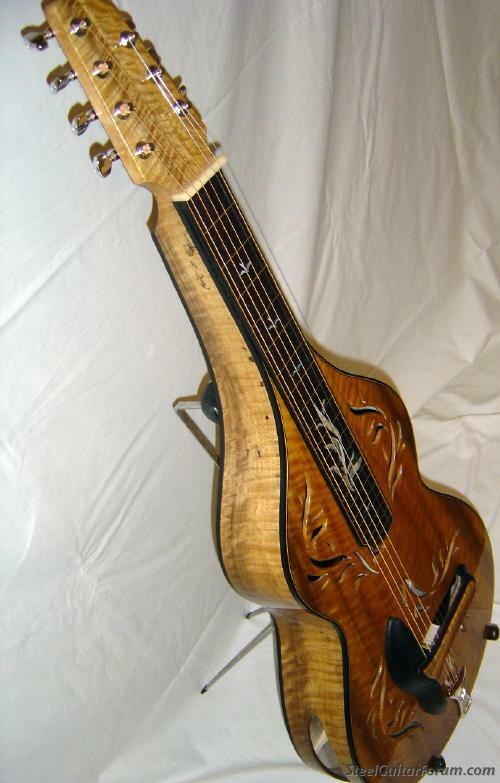 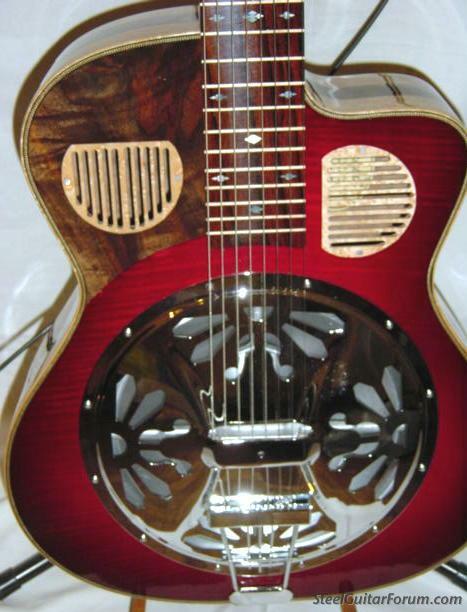 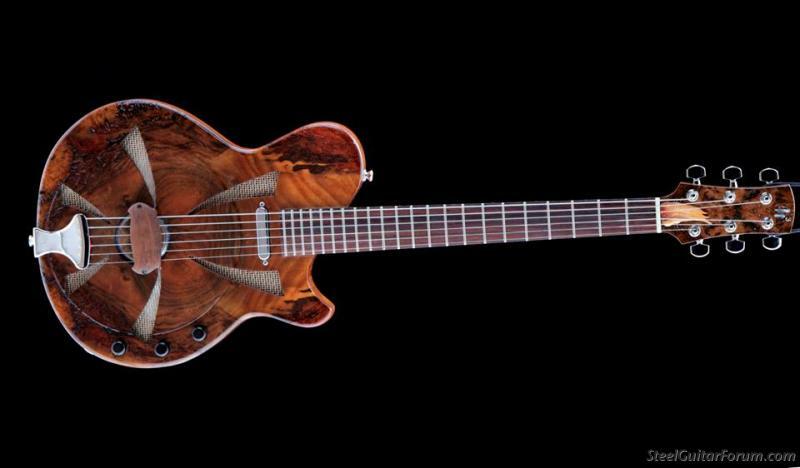 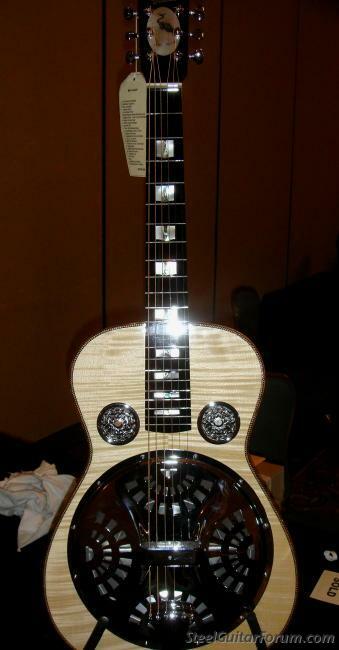 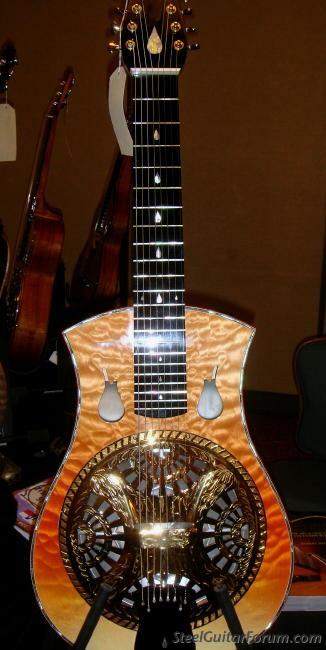 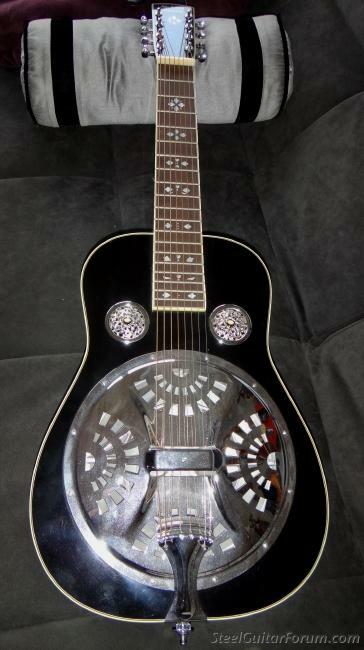 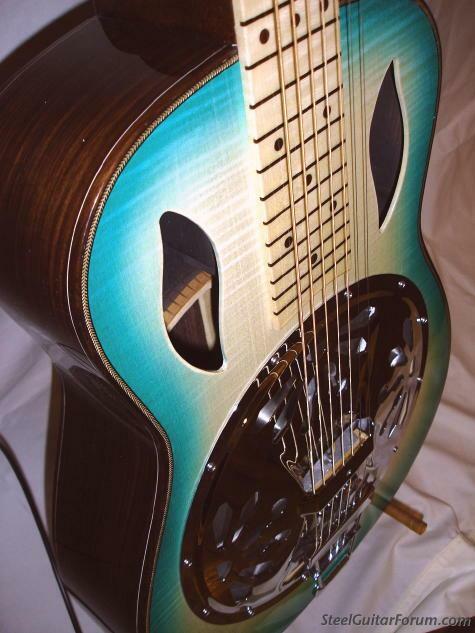 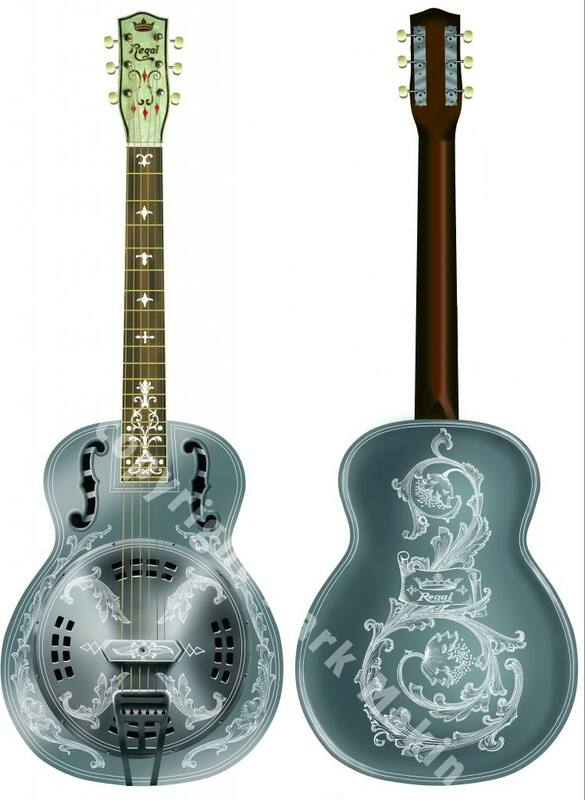 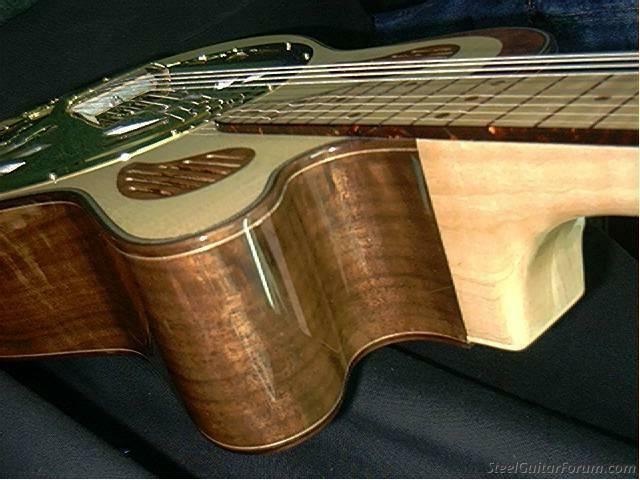 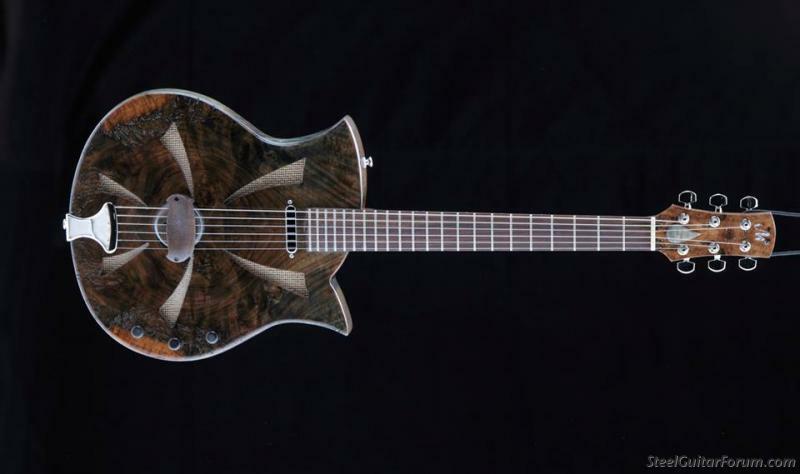 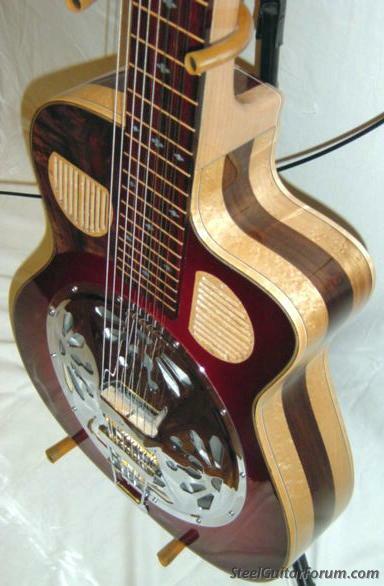 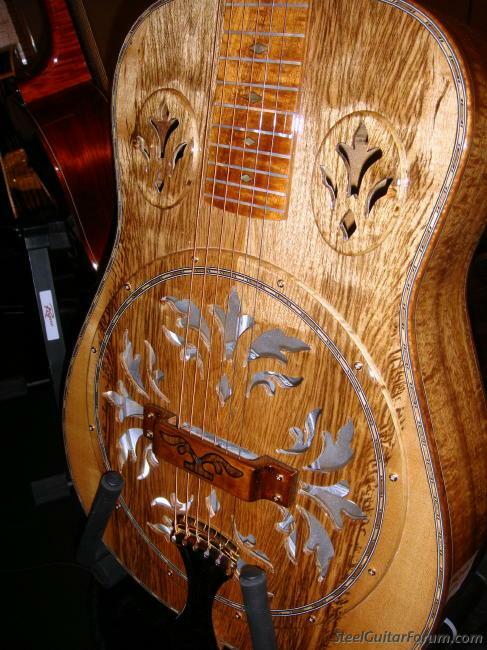 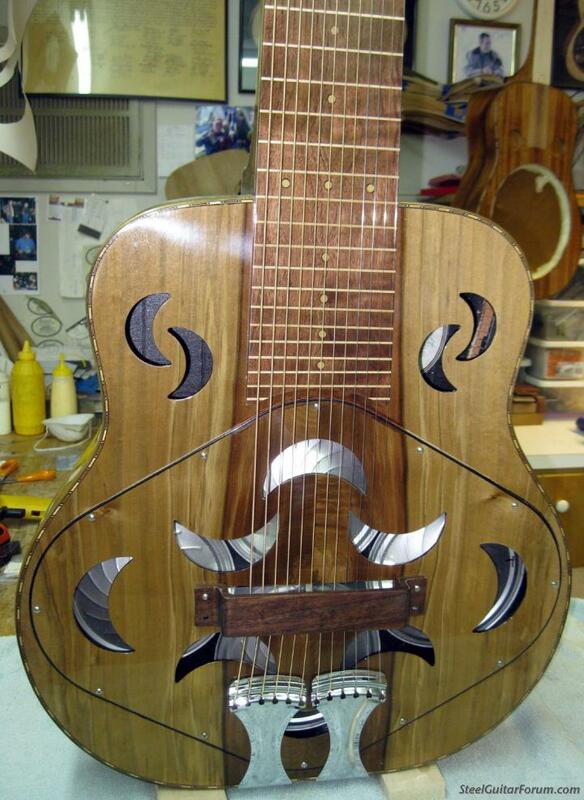 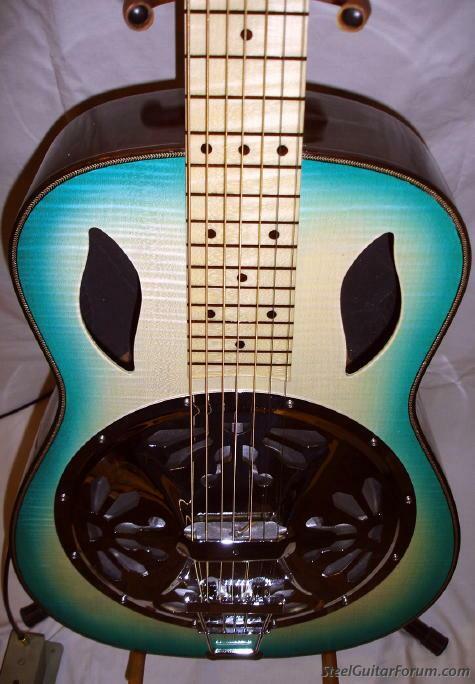 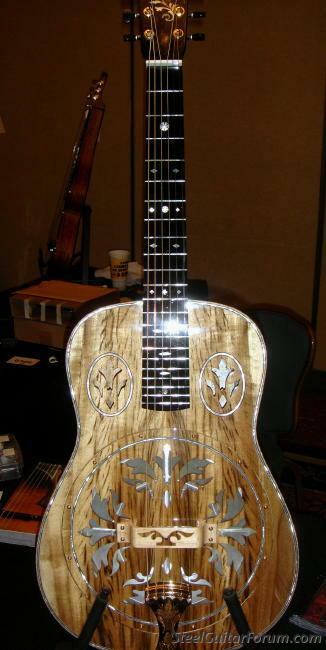 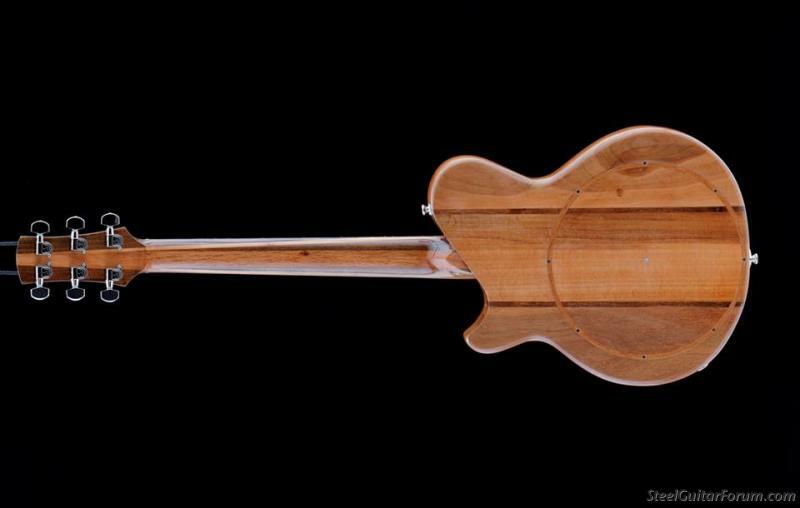 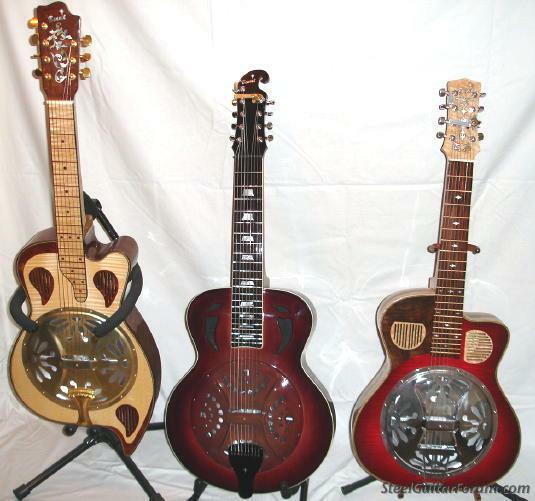 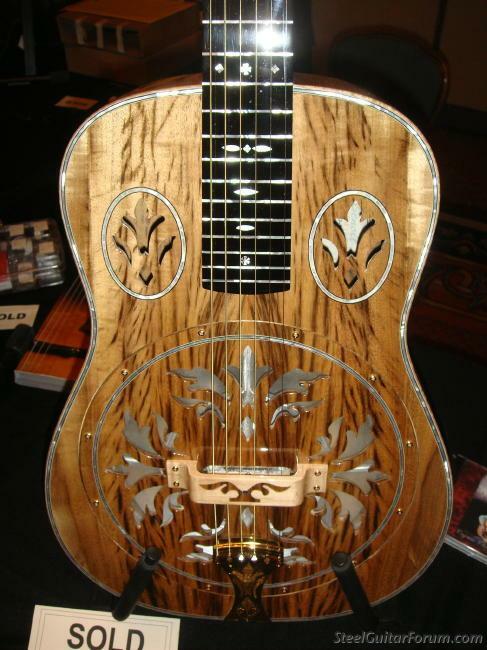 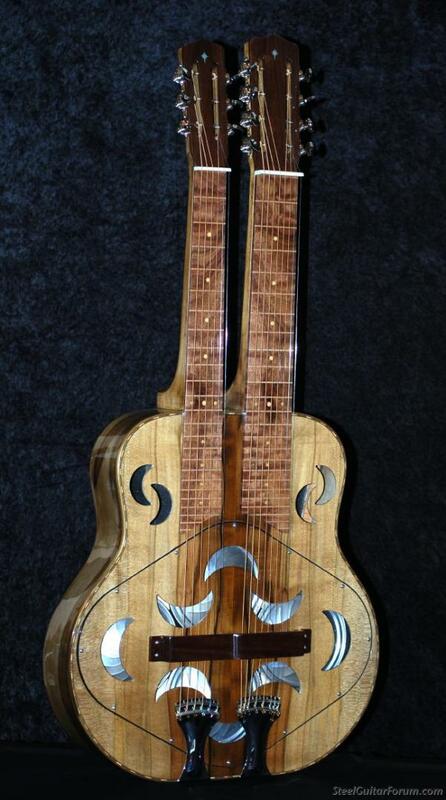 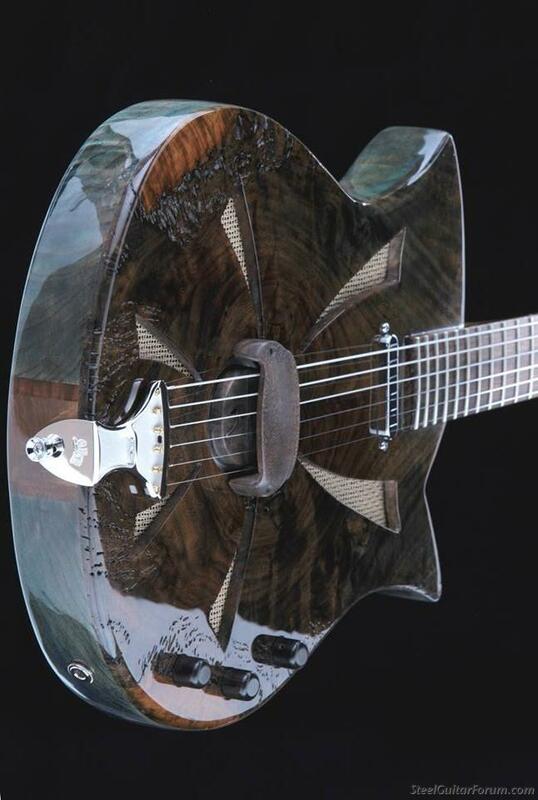 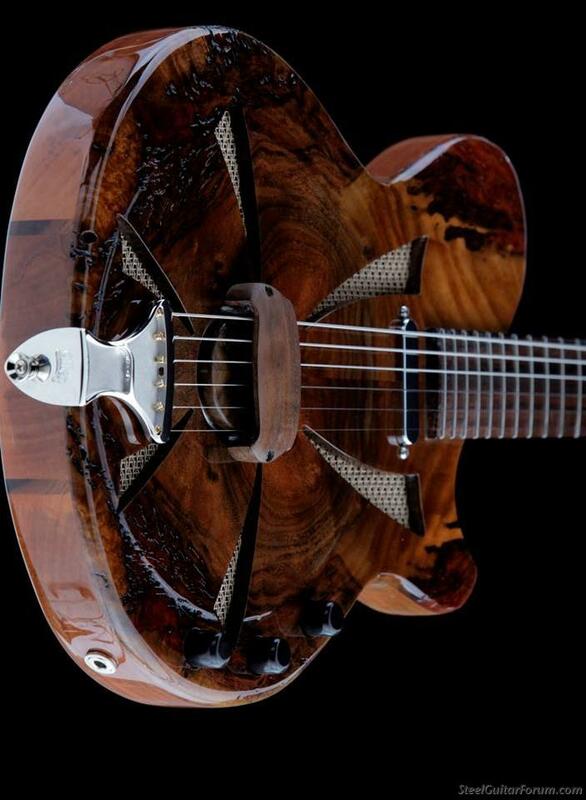 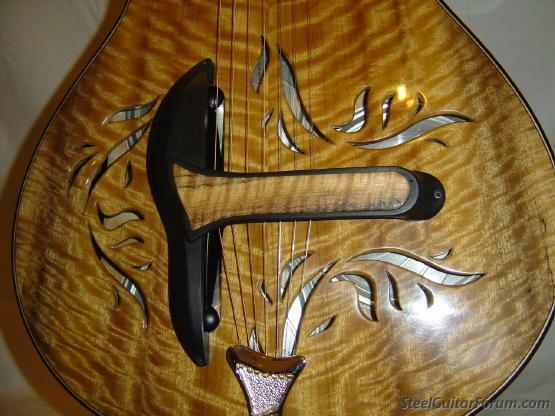 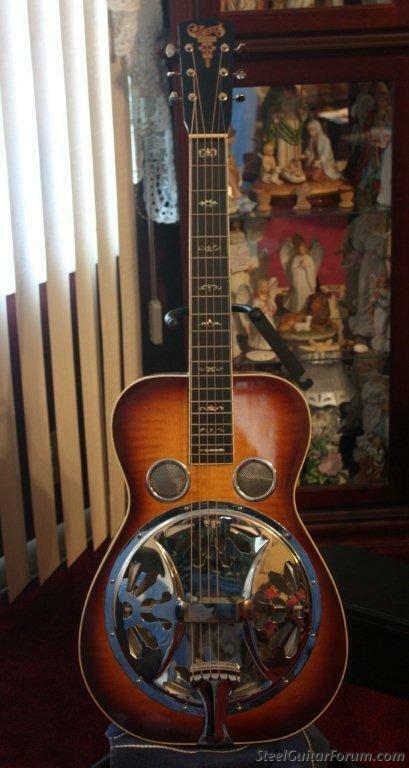 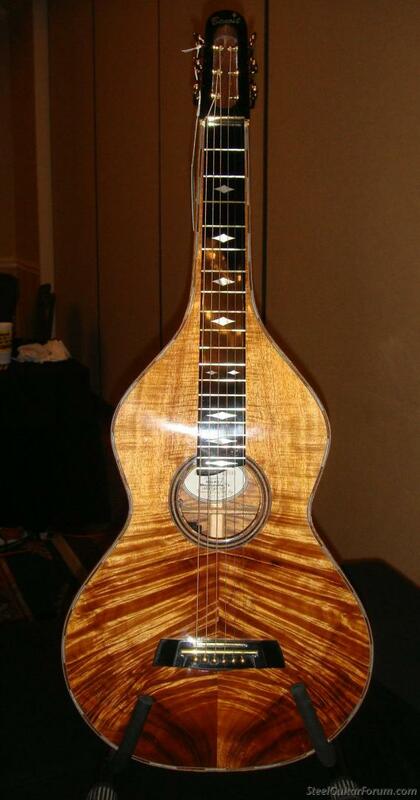 'Water'- $2500 (one of the Elements, water, fire, and earth) - she's a Woodface™ electric 10 1/2" biscuit bridge resonator guitar. 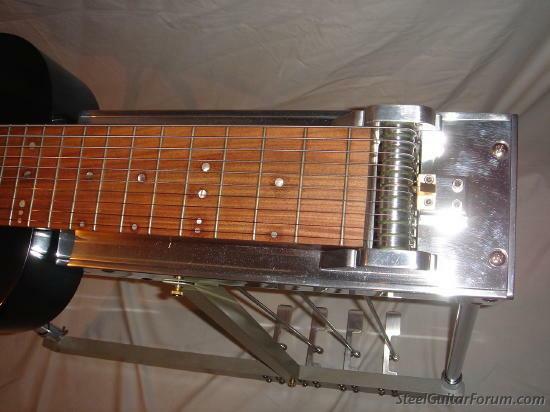 she has proprietary passive electronics with a mic and mag pup. 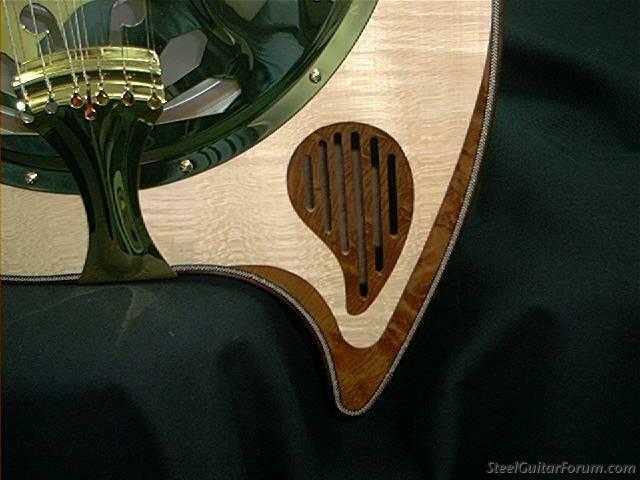 *passive* so that the pup will interact with your amp the way the gods intended! 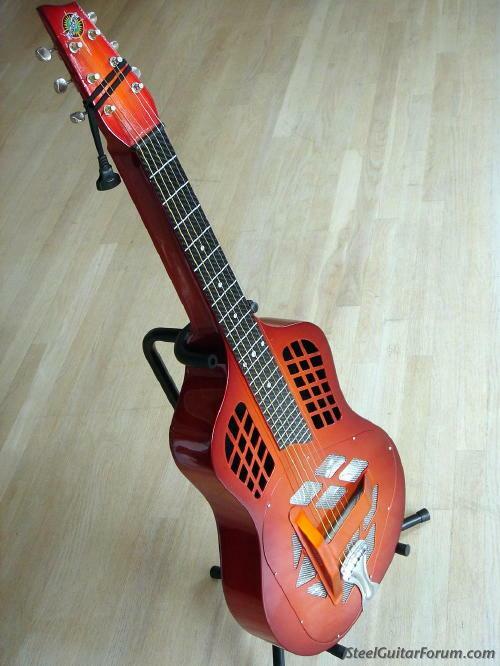 no batteries or preamp needed. 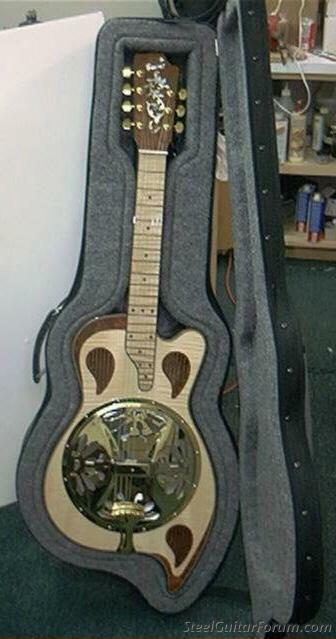 volume, standard tone, low end rolloff, and a mic cutout switch in case you just have to rawk really freakin loud. 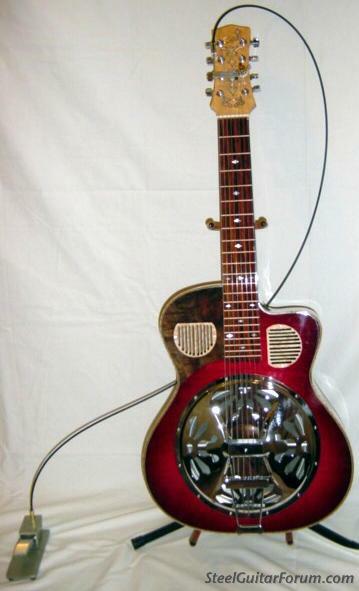 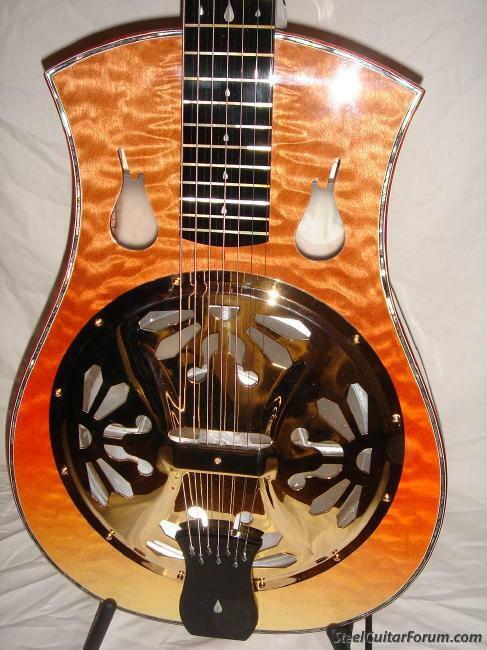 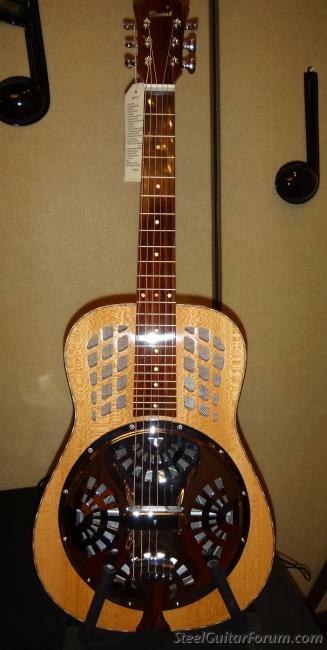 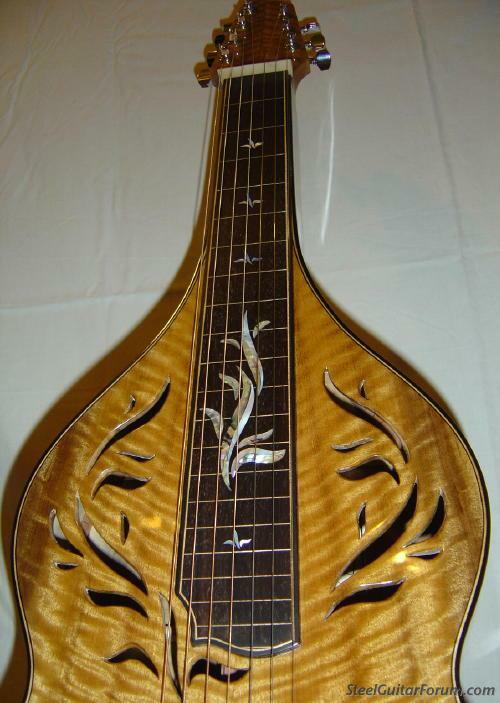 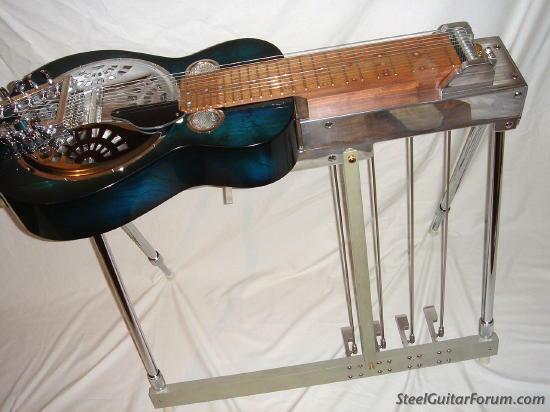 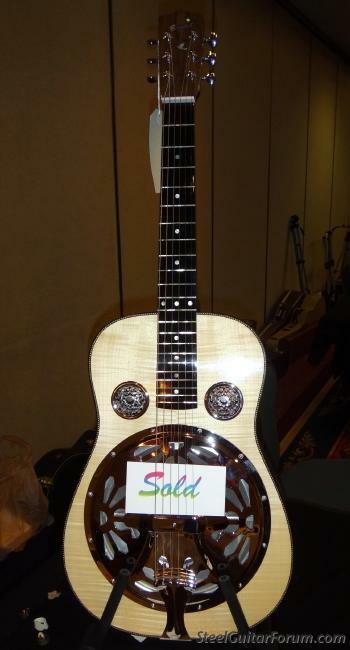 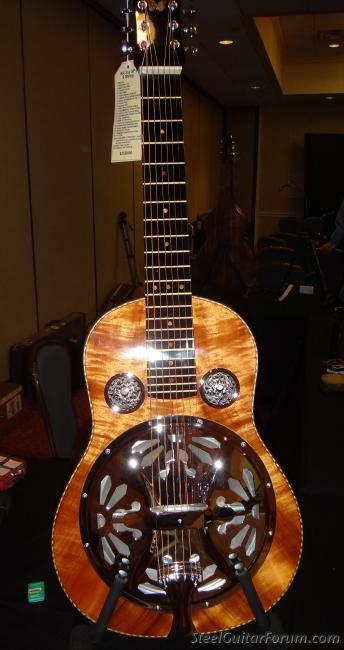 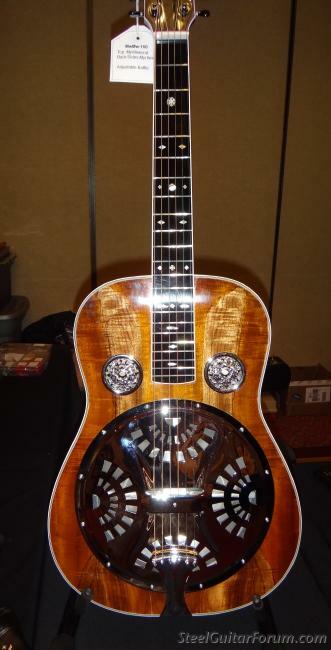 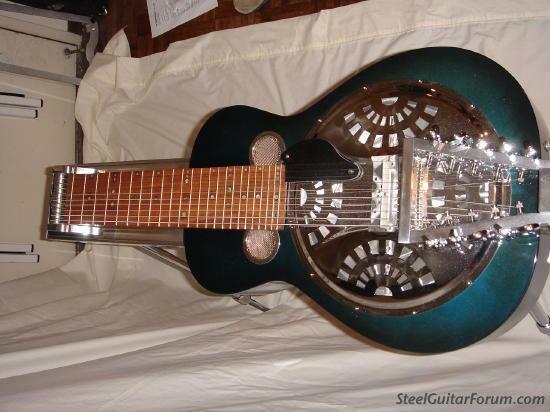 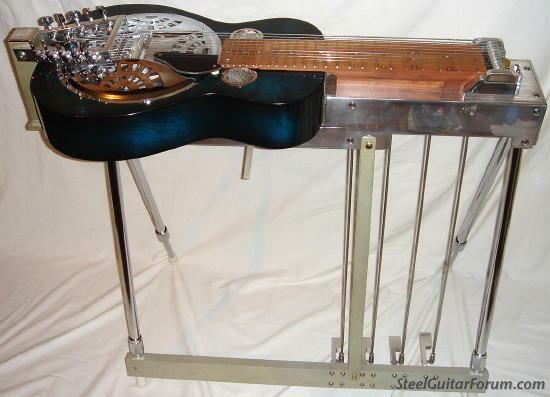 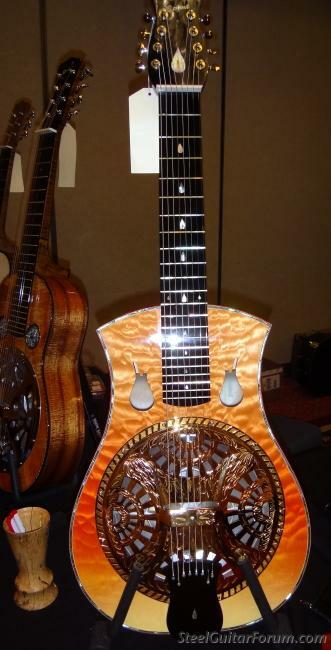 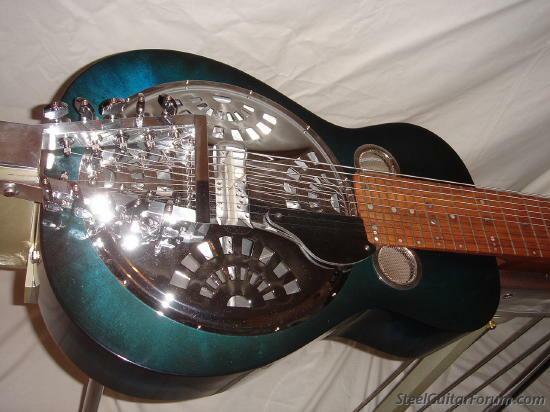 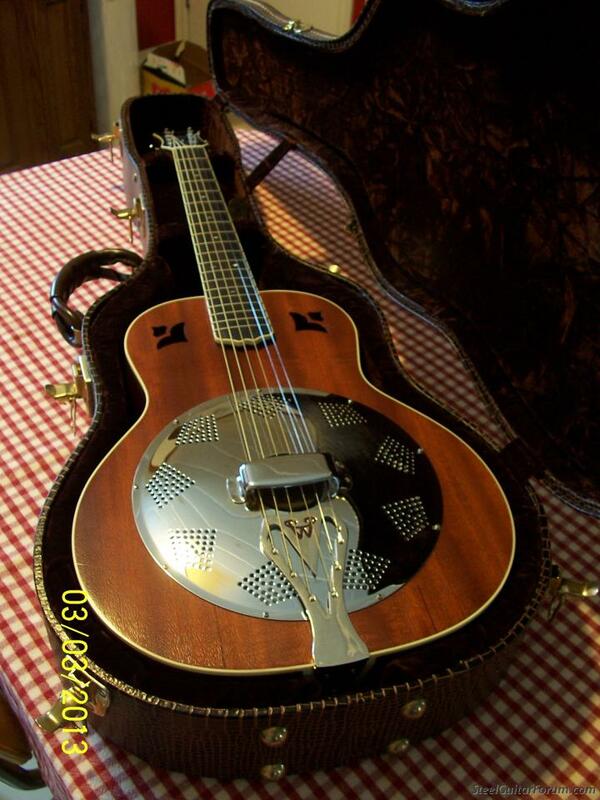 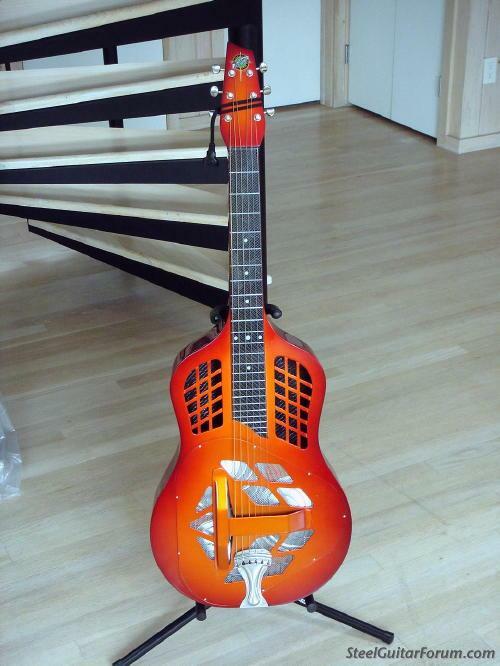 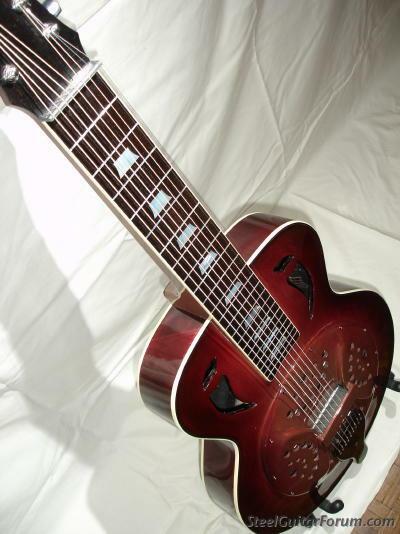 and here is 'Fire' - $2500 - a 9 1/2" biscuit bridge electric resonator. 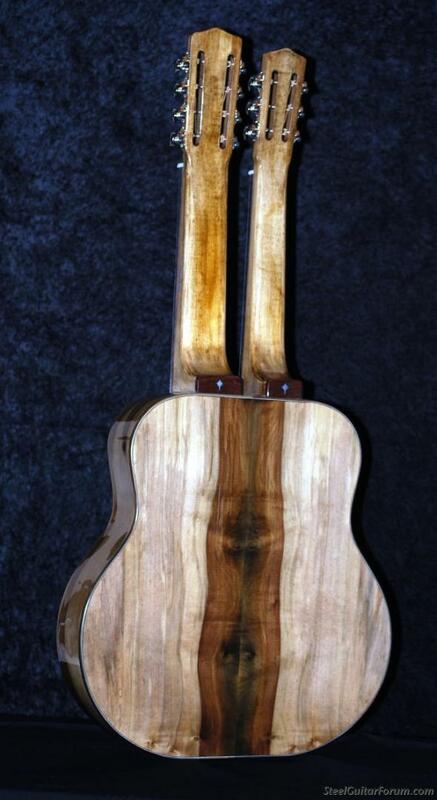 also a roundneck. 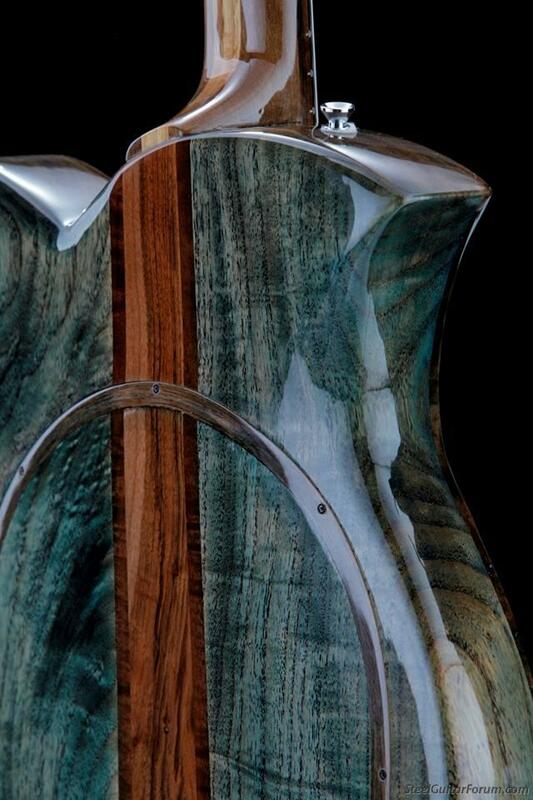 the black walnut top is a match to 'Water'. 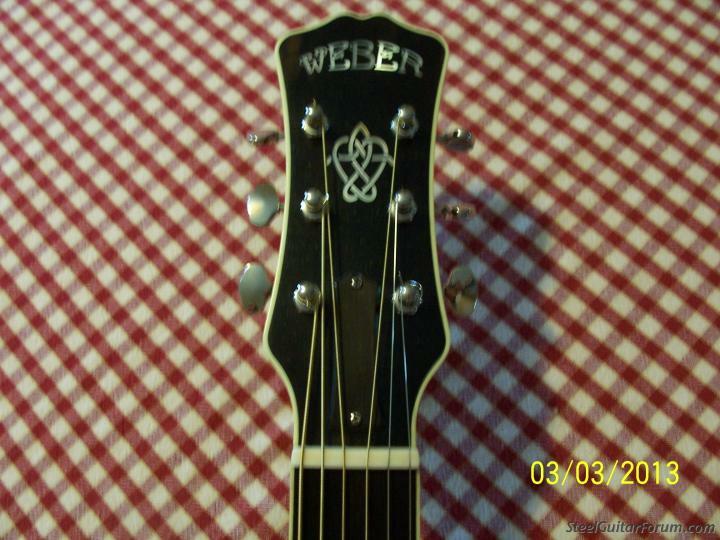 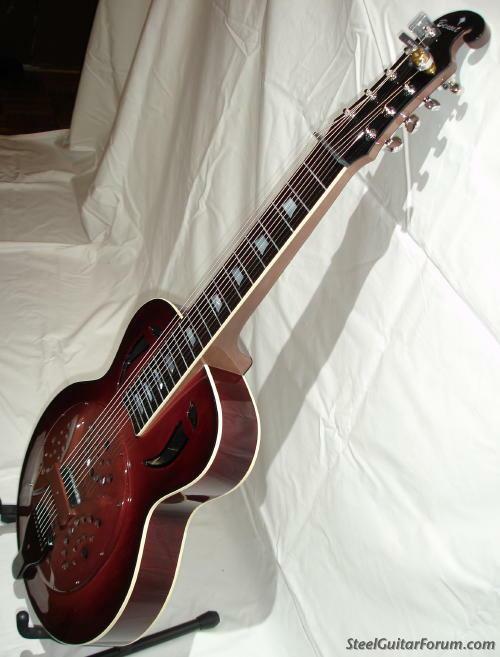 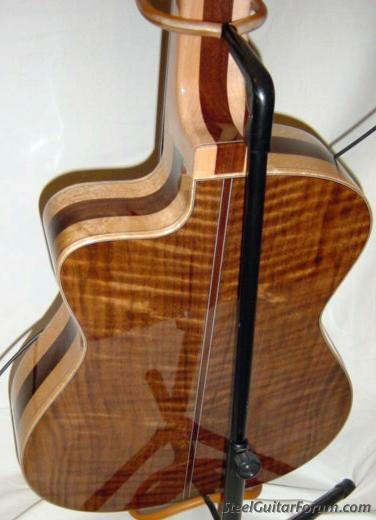 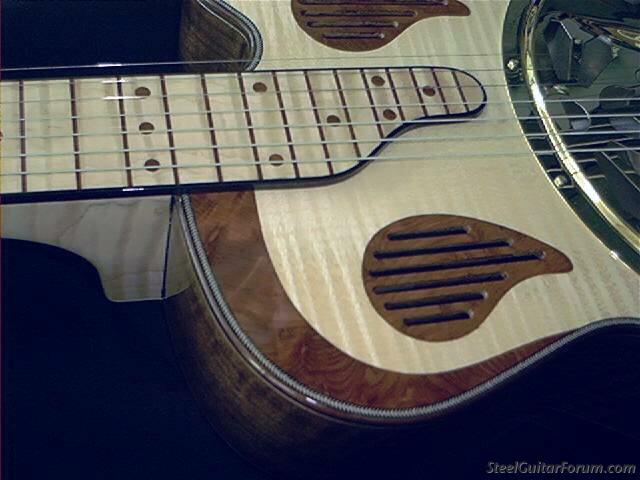 she has an alder body with alder and walnut neck. 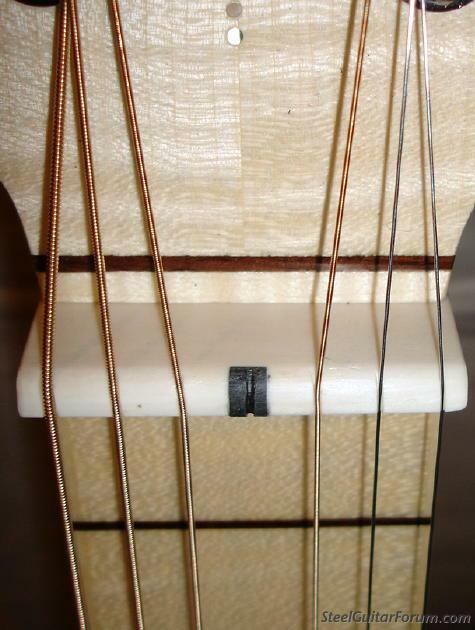 carbon fiber rods in the neck as well. 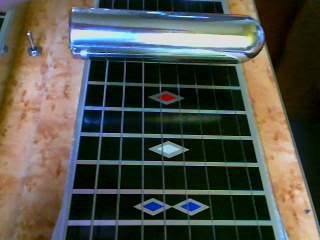 she also has the M3 proprietary electronic setup.